Several months ago BattleGrip.com made a fascinating discovery. 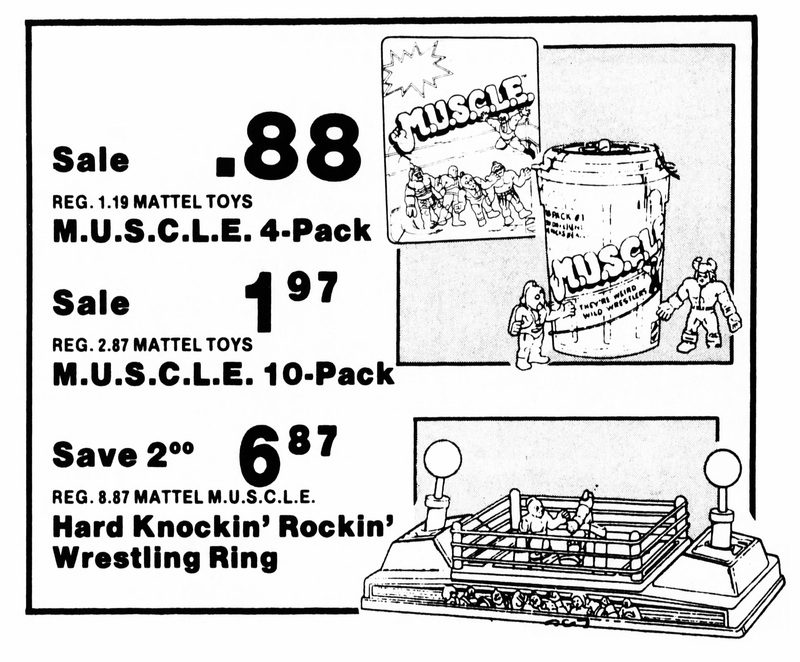 In the March 25th, 1986 issue of The Akron Beacon Journal there was an advertisement for M.U.S.C.L.E. figures. The website claims that the advertisement was for a store named Clicks. 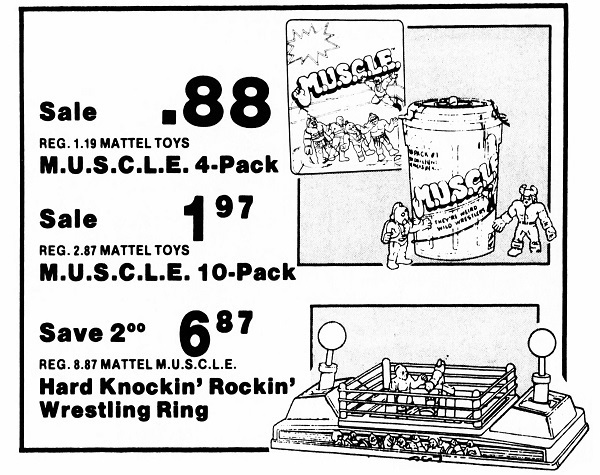 Unfortunately the identifying traits were cut from the advertisement. 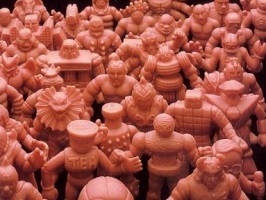 This unique art of M.U.S.C.L.E. history has been added to Literature 500. This entry was posted on Wednesday, June 6th, 2018 and is filed under Advertising & Promotion, Literature, Research, UofM News. You can follow any responses to this entry through RSS 2.0. You can skip to the end and leave a response. Pinging is currently not allowed.